Competing in a local market with a number of other plumbers can be challenging. That’s why it’s necessary to differentiate your plumbing business from the competition in order to gain an advantage. If your plumbing business is unique in some way (or many ways), it will be easier to attract business and you’ll end up worrying less about your competitors. In order to differentiate your plumbing business from the rest, you need to determine your USP, or unique selling proposition. This involves an honest assessment of your strengths and weaknesses and a thorough analysis of the competition. What are your competitors doing? How do they market themselves? What are their weaknesses and how can you capitalize on them? Remember, you don’t want to compete on price alone. Your pricing should be reasonable, but sometimes offering the lowest price on the block makes potential customers question the quality of the service. They think there must be something lacking if a service provider can operate at such a low cost. The level of service that a customer receives is what they will be most likely to remember after the sale and will determine what they tell their friends and family members. If the service was great, they will recommend your plumbing company and you will generate referrals. If it was bad, they will tell everyone they know to stay away. 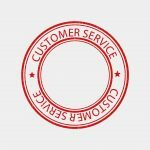 To be known for your customer service, you need to provide a great experience through every step of the process. This starts with the person answering the phone and ends when someone does a follow up call to make sure that the customer is happy with the work that was done. All employees need to be friendly, courteous, and respectful and go above and beyond whenever they have the opportunity to do so. Offering a satisfaction guarantee conveys to the customer that you have confidence in your abilities and are sure that the customer will be satisfied. The guarantee can be a full or partial refund if the customer isn’t happy. You can also guarantee that the plumber will arrive to the job on time and leave the working space clean and offer to take money off of the bill if either of these things doesn’t happen. Potential customers can be wary of plumbing expenses, and this satisfaction guarantee will make them more confident about making the payment. Offering additional services beyond plumbing means that you can help your customers with a variety of issues. This is a selling point and will ultimately improve your bottom line since you will be able to generate more business. For example, you can offer HVAC services along with plumbing services. Many plumbers rely on word of mouth and traditional advertising outlets in order to generate business. Check out the competition and see where they don’t yet have a presence. For example, social media is an area that plumbers have been slow to embrace. If you are able to build a social media following by sharing helpful plumbing tips, it’s likely that your followers will be loyal to your company and recommend your company to others. As you can see, there are many ways to differentiate your plumbing business from the competition. By offering great service, a satisfaction warrantee, add-on services, and investing in marketing, you can make a name for yourself in a local market.